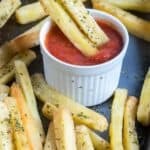 baked crispy cassava fries – give Mcdonalds a run for their money with these paleo style cassava fries straight from the oven. 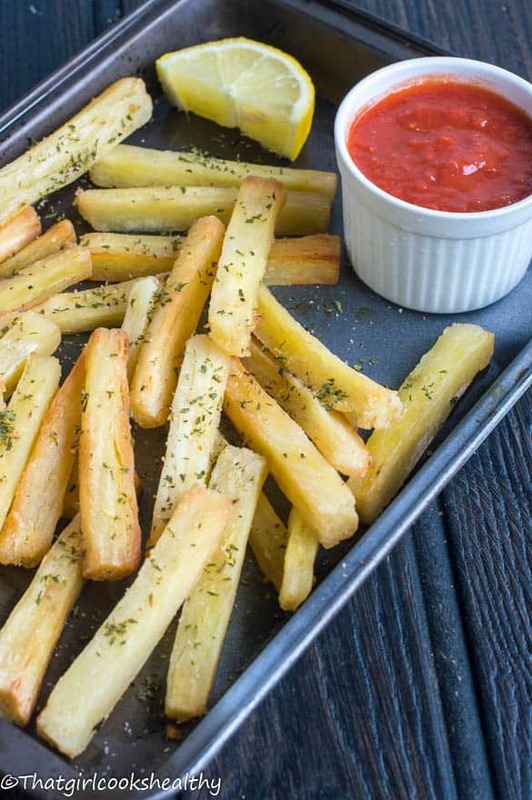 What are cassava fries ? 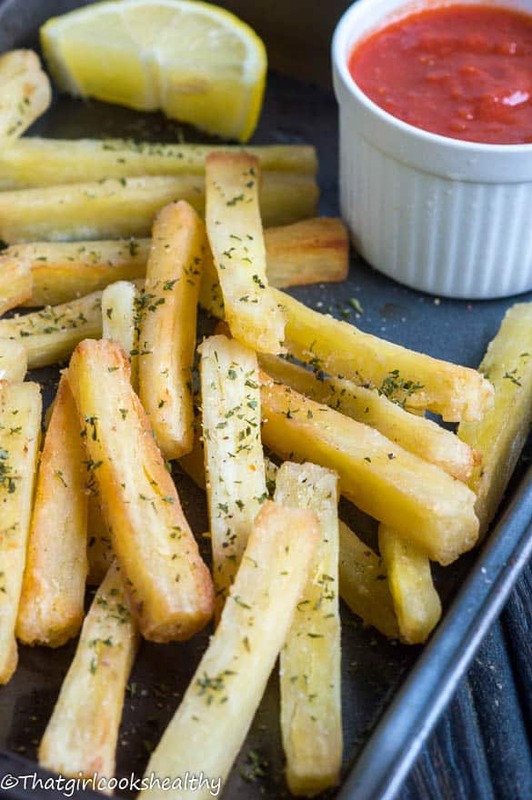 Cassava fries are made from a root vegetable that’s grown in the Caribbean and African continent. Cassava is a starchy root vegetable that is enriched in vitamin C, fibre, potassium and an excellent source of energy. Where can I buy cassava/yuca from? Typically cassava is one of those vegetables that you won’t find in your local supermarket, so don’t expect to walk into your local supermarket and purchase it at the ready. You can buy cassava/yuca from most African, Asian, Caribbean or Latin supermarket or at the actual market place. If your local market sells Caribbean/African foods they will most likely have cassava available, just ask! 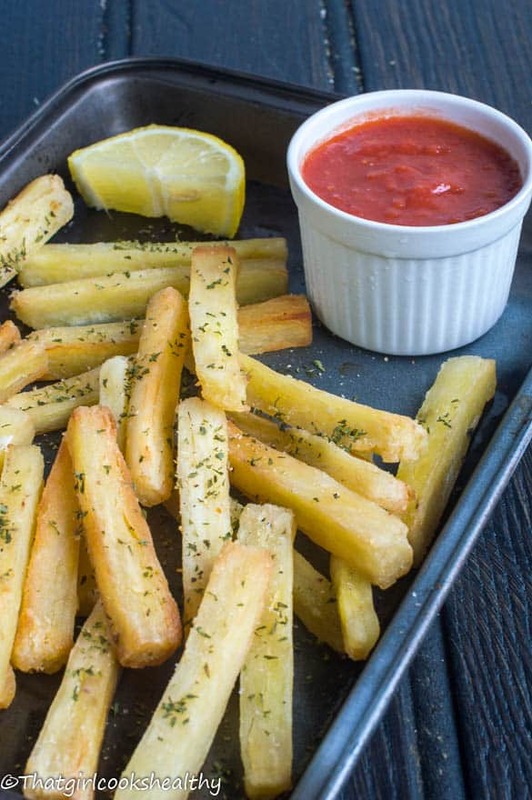 Baked crispy cassava fries – a new concept!! Anyway, Cassava fries are a new concept and a great alternative to white potatoes. Another great cassava recipe is bammy (a flatbread) that’s traditionally served with fish or boiled cassava to add to some stew. I feel as if these contemporary diets like paleo are re-introducing me to an abundance of creative ways to cook foods my own culture. 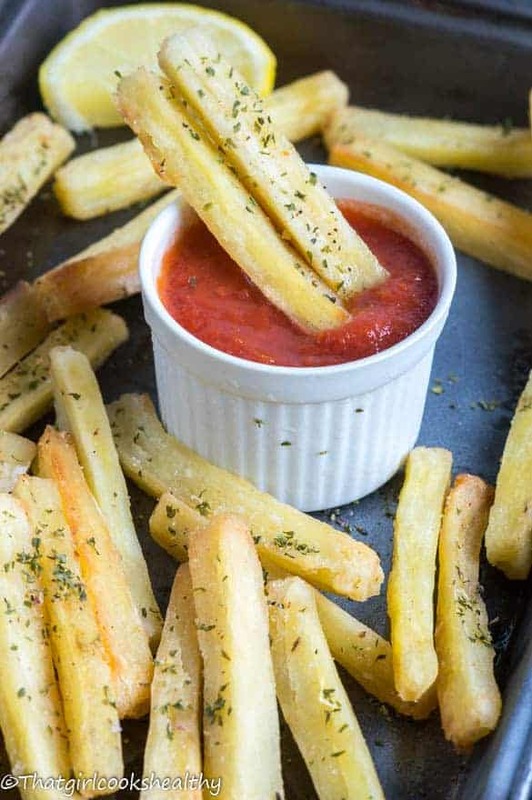 My cassava fries were baked in the oven to yield a healthier twist, as frying seems to be a more popular method of cooking. The most difficult part during the preparation stage was peeling the exterior part of the vegetable. The skin is quite tough, so a firm hand and plenty of patience is needed. Once the skin is removed; cut in half, boil in water 20 minutes, cool off, shape into fries, coat in some olive oil and pop in the oven – it’s really that simple and the results are well worth the time. Start off by cutting the cassava in half and peeling the skin. Place the peeled cassava chunks in a large saucepan, pour enough water into the pan so that the root vegetable is completely submerged in water. Boil on medium heat for 20 minutes or until cassava can be easily pricked with a fork. 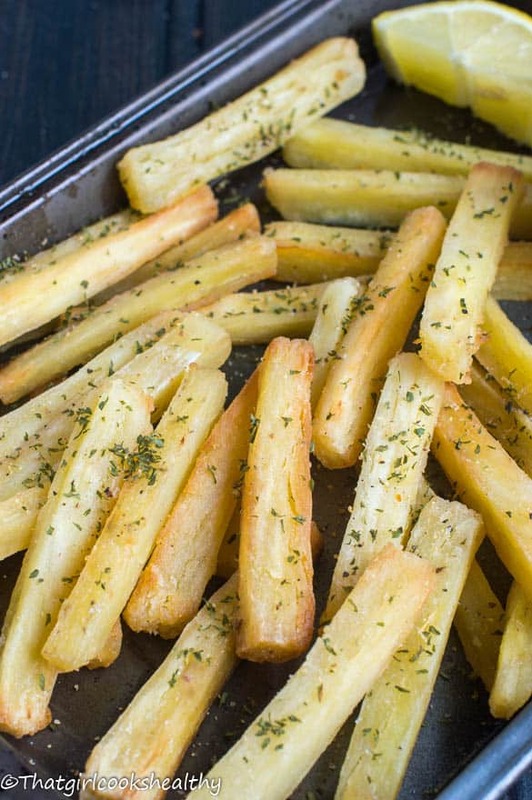 Once cooked, drain and allow to cool for several minutes then cut into french fry styled shapes. Line a tray with each parchment paper or foil and coat the cassava in olive oil, ensuring each stick is saturated in oil. Bake for roughly 20-25 minutes or until slightly golden brown, occasionally turning through out cooking. Remove from oven, cool and garnish with salt. « What’s in my lunch box?